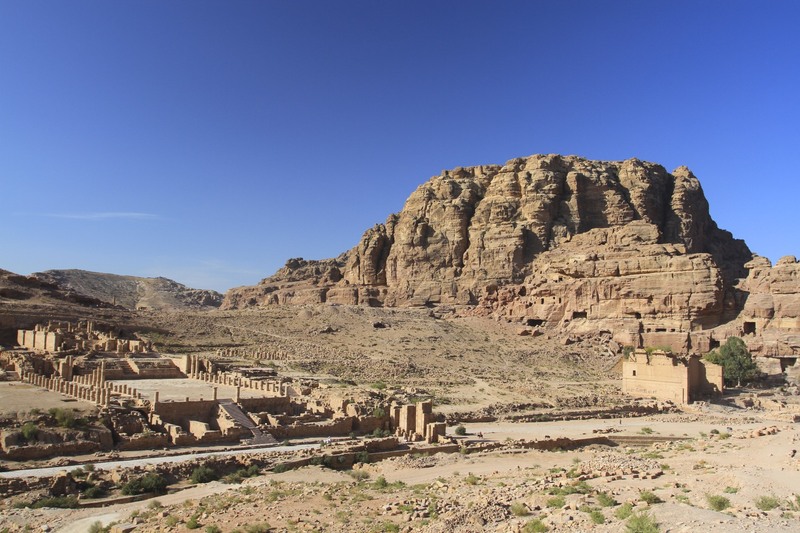 John William Burgon, the English clergyman who penned the famous poem, Petra, had never actually seen or experienced the glory of this magnificent Nabataean city. 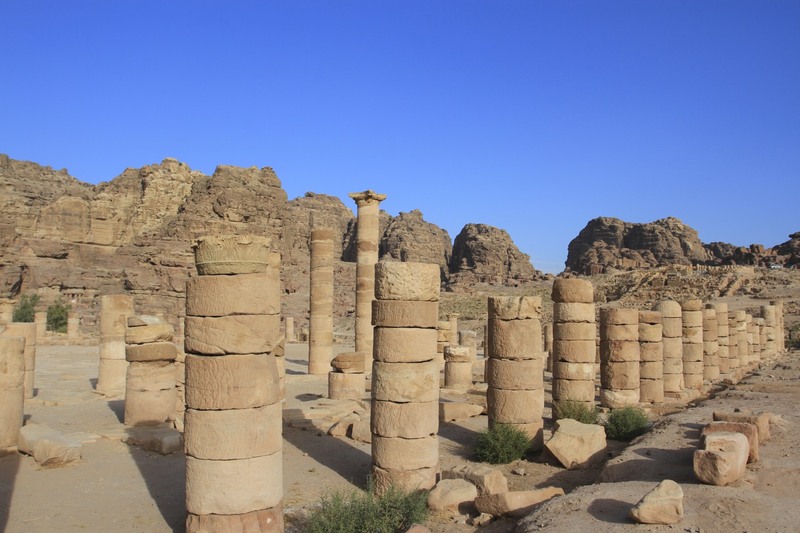 Yet his poem includes a line that, in nine words, has come to symbolise the deep and enduring mystery of one of the world’s most extraordinary ancient places: “a rose-red city half as old as time”. 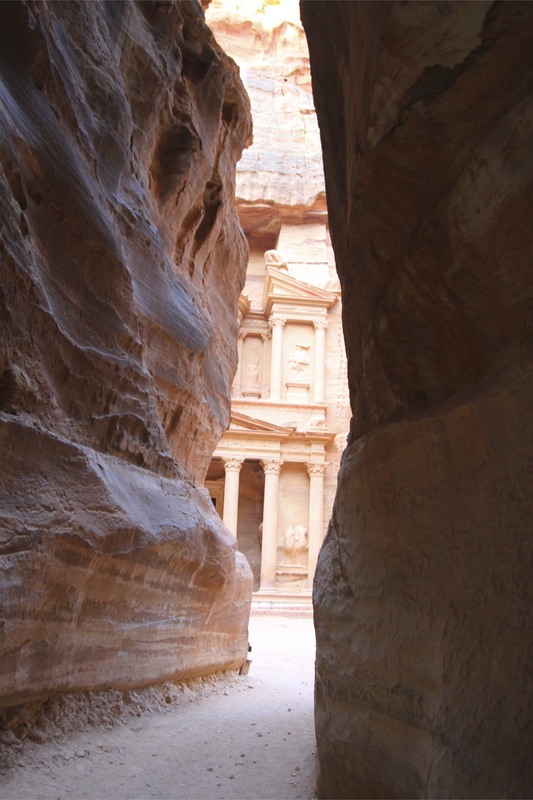 What is most extraordinary about Petra is that for centuries this once thriving city was simply forgotten. 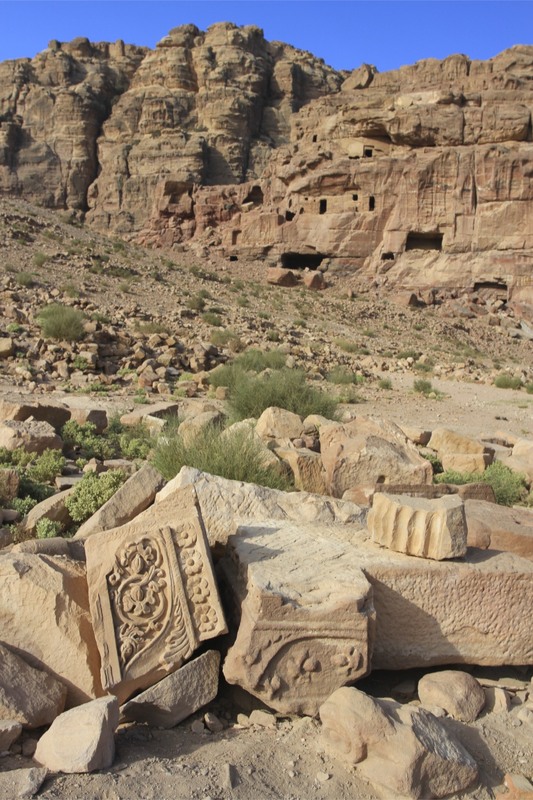 It lay abandoned for several hundred years, with only a few Bedouin families living amongst the carved facades. 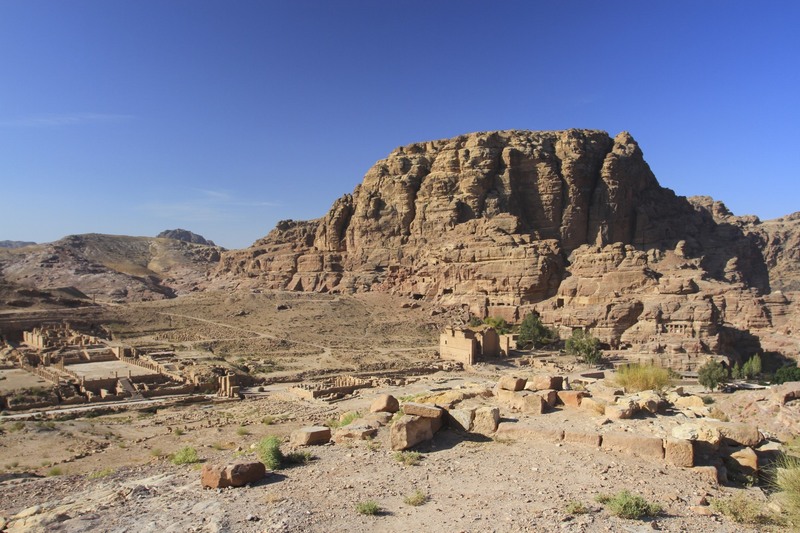 Yet from the 4th Century BC Petra was the centre of a Nabataean trade empire that stretched into Turkey, Ethiopia, Yemen and Iran, connecting Petra to China via the Silk Route, and India by oceanic trade routes. Absorbed into the Roman Empire in the 2nd Century AD, its importance began to fade until, under the Byzantine Empire, it eventually slipped into obscurity. It remained unknown to the outside world until 1812, when Swiss adventurer Johann Ludwig Burckhardt disguised himself as a Bedouin and rediscovered the city. This would be more understandable if the city hadn’t been so well-known, or so massive. Its size is the thing that struck me most when walking around, the giant buildings carved out of the red sandstone make you feel tiny and insignificant. How could a place this big drop off the map for nearly a thousand years? Ironically, it was Petra’s size that brought me back here. I visited in January but only had time to see a small part of the city. 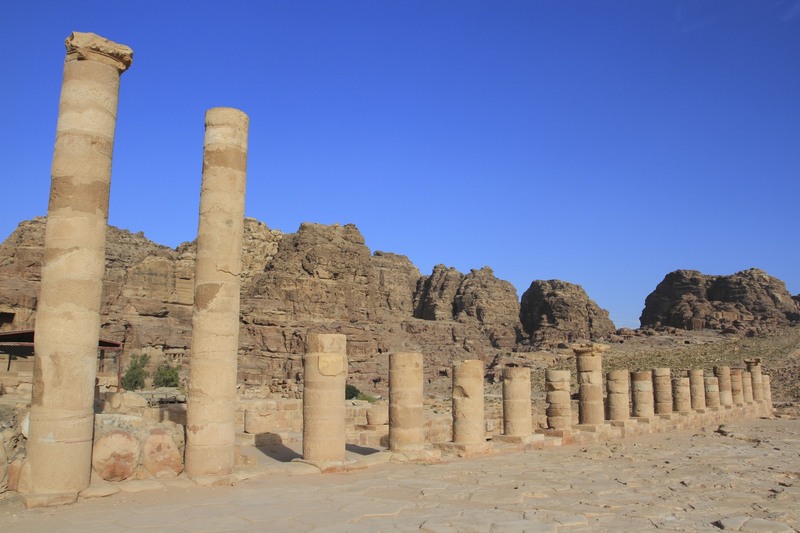 On this visit I had more time to explore Petra’s wonders. Unfortunately, the weather had other ideas, but I was able to spend a full day in the city, climbing to some of its scared High Places, and to visit the stunning Monastery. 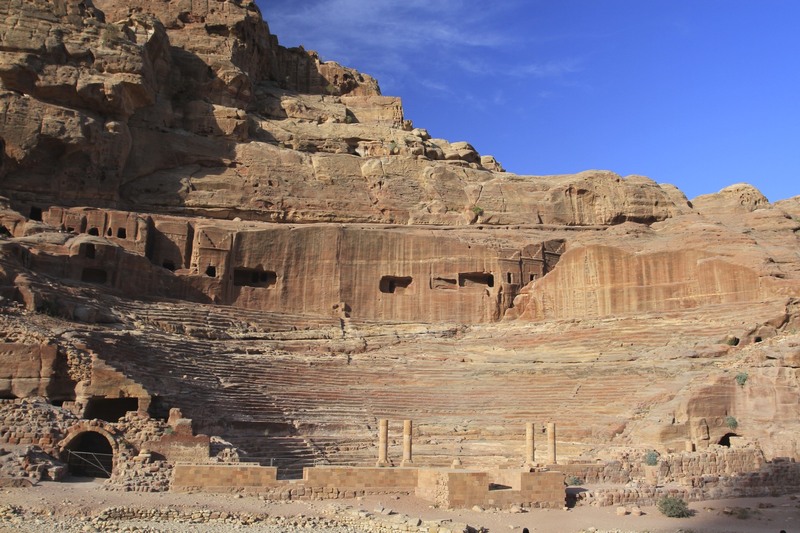 I’d planned to stay two days and to see ‘Petra by night’ but a severe storm – thunder, lightening and torrential rain – hit Petra and washed my plans down the wadi. 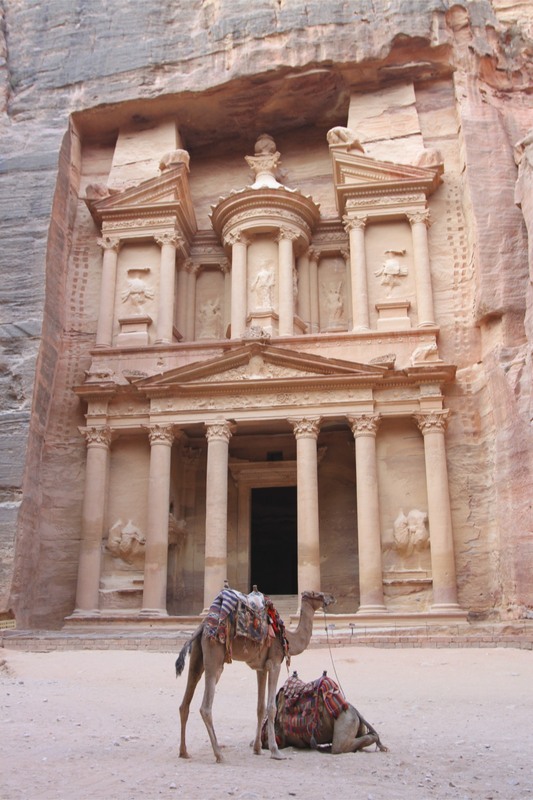 Despite low tourist numbers in Jordan every tourist visits Petra. 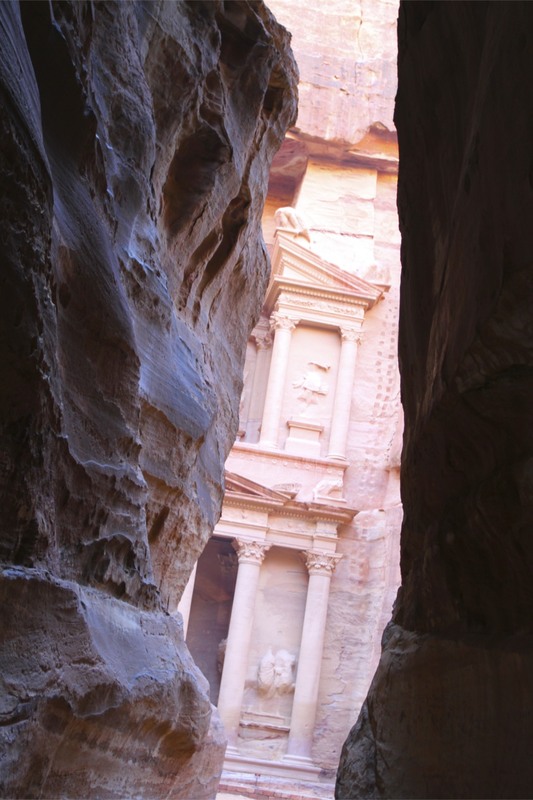 So I dragged myself out of bed before sunrise hopeful I’d experience the Siq, Petra’s stunning entrance, and the Al Khazneh, or Treasury, without the company of tour groups. 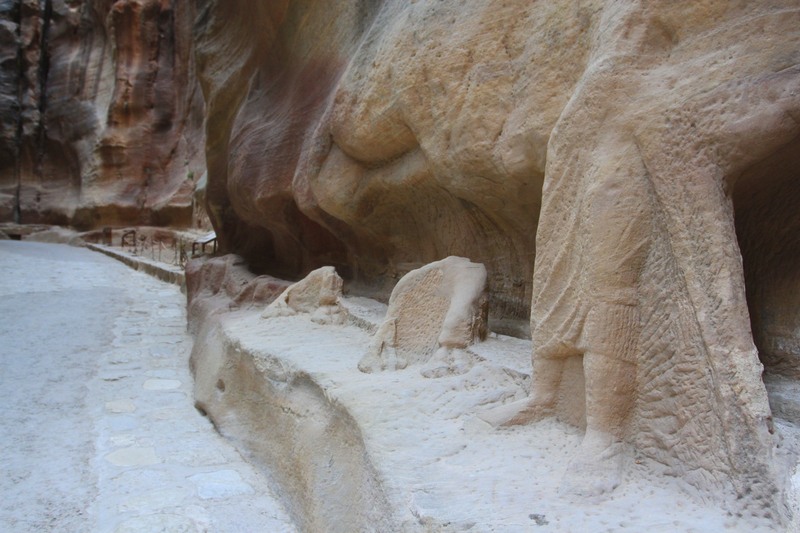 As I walked through the Siq with only the sound of my own steps for company, I was glad I’d made the effort. It was a magical experience, although that might have been sleep deprivation. 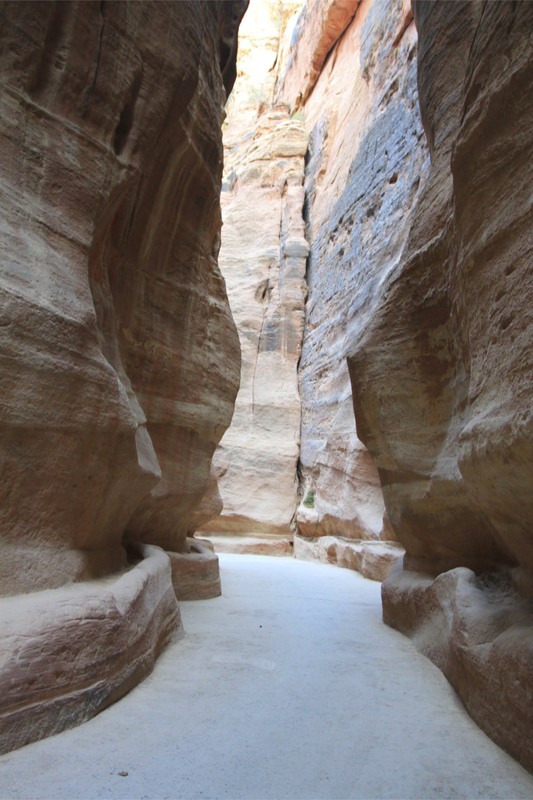 Although I knew what to expect, arriving at the end of the Siq and glimpsing the Al Khazneh through the gap between the towering sandstone walls of the gorge is electrifying. I can’t help but associate it with Indian Jones and the Last Crusade, a sense of adventure pervades the whole place. 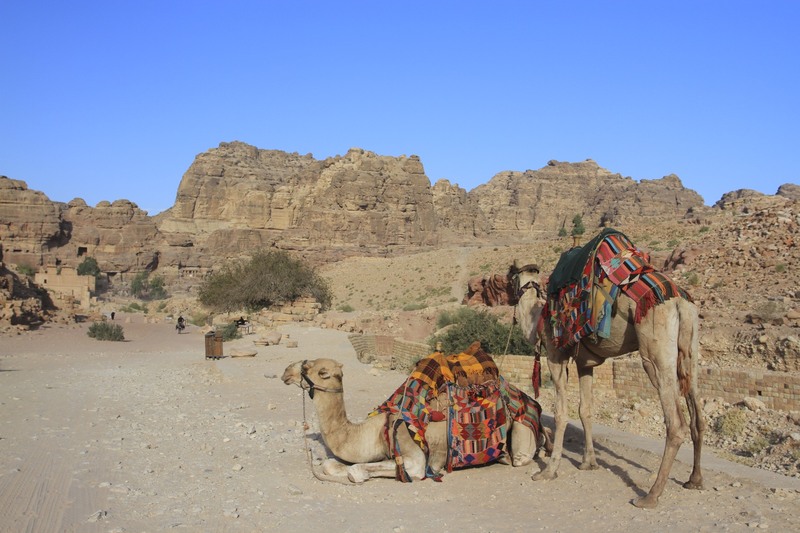 There were a few Bedouin with camels gathered drinking tea and chatting. At this time of day they couldn’t be bothered with a lone tourist, and I sat on a bench absorbing the beauty of the scene. 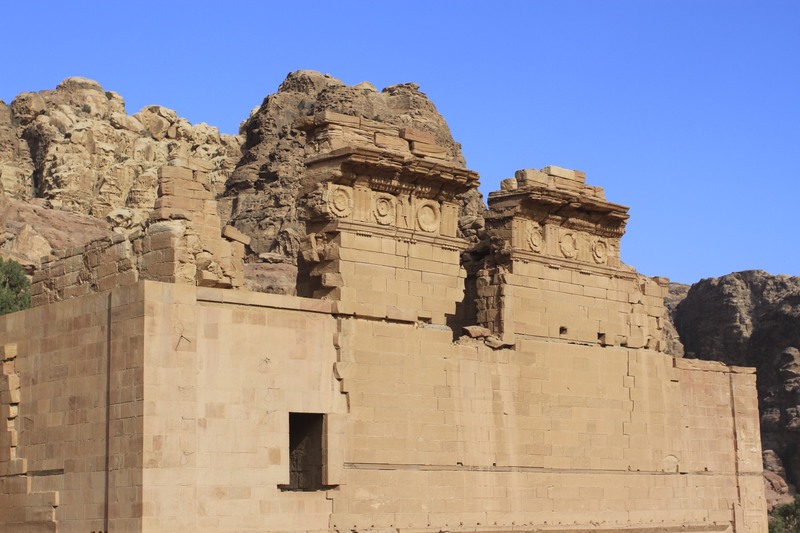 I eventually wandered off into the heart of the city, past numerous tombs slowly being illuminated by the sun, the amphitheatre carved into the solid rock, and headed towards the colonnaded Roman road, Hadrian’s Gate, Petra’s Great Temple and Qasr al-Bint. 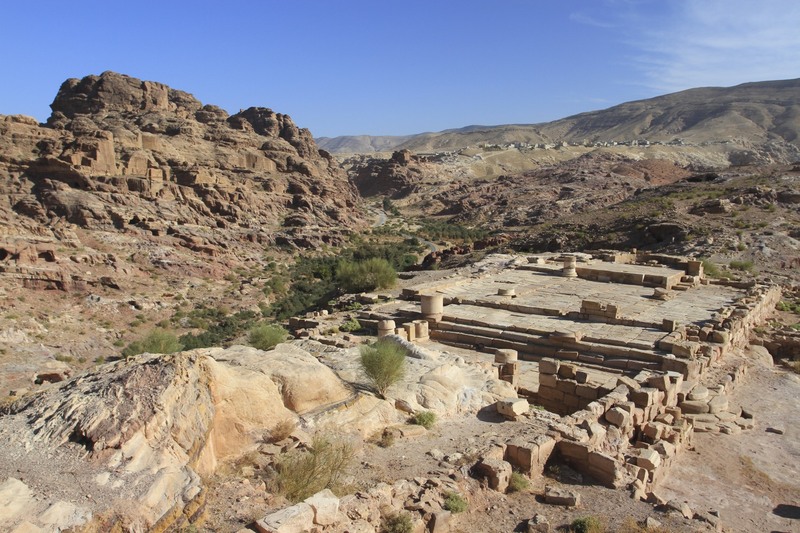 This was the bustling city centre, where Nabataeans, Romans and Byzantines would have gone about their daily business: praying at one of the temples, shopping in the markets, gathering water at the public fountain or bathing in the Nabataean baths. It takes a leap of imagination to visualise all this today, but you cannot deny the grandeur of your surroundings. Breathtaking. 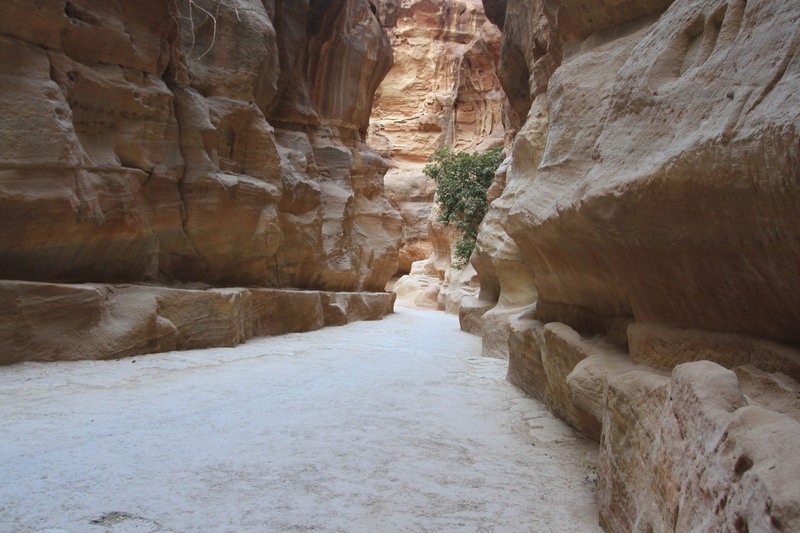 Petra is one of the most extraordinary places I’ve ever seen. Truly beautiful.